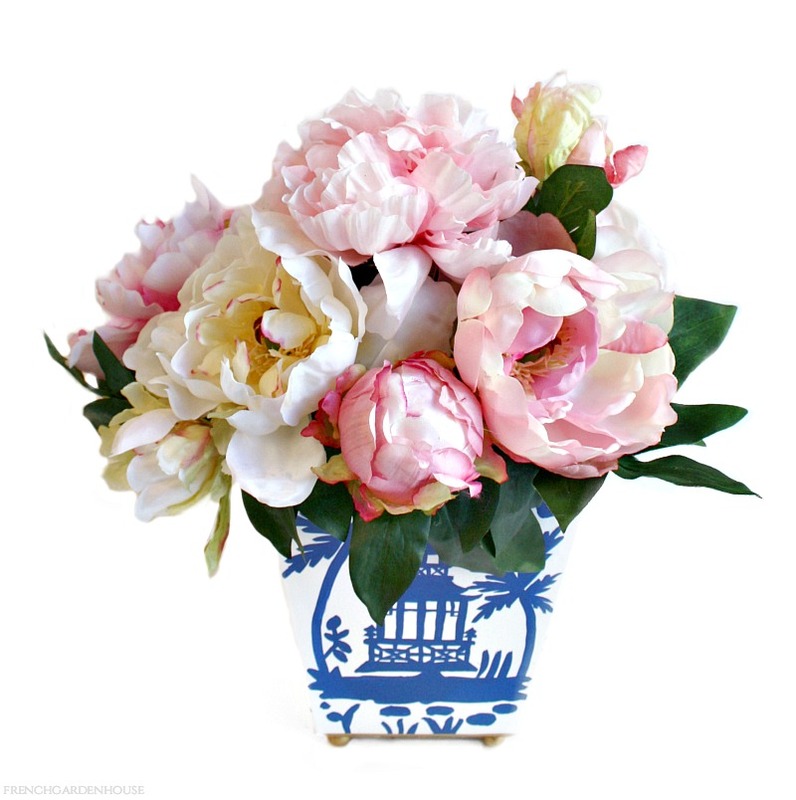 These lovely light pink peonies fill a classic Blue & White Chinoiserie footed squared Planter. A symbol of prosperity and distinction, the peony is always unforgettable. Capture the allure of peonies all year long with this luxury and exclusive floral design. The fresh and feminine style of this bouquet in pinks will add style and romance anywhere you place it. Measures 14" x 15" x 15"h.